Old Boy Chris Studer returned to Upper Canada College on April 3 to help Year 7 boys “Get REAL” when it comes to the lesbian, gay, bisexual, transgender and queer (LGBTQ) community and its allies. Brendan Dellandrea ’01 has been appointed Vice-Principal, Advancement. He will join UCC in early May and be part of the College’s Senior Leadership Team. 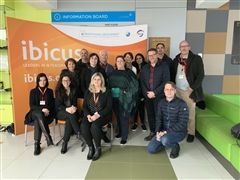 Curriculum leaders from across the College travelled to Prague to attend International Baccalaureate workshops and make connections with educators from many international schools over the March break. 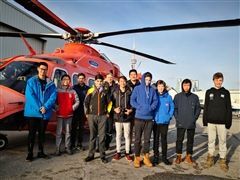 Eleven boys from UCC Aviation Club visited facilities at Billy Bishop Airport at downtown Toronto on March 1. 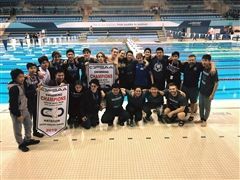 Two Upper Canada College Year 5 students have taken their interest in robotics and run with it … all the way to the VEX Robotics World Championship in Louisville, Ky.
Upper Canada College students have excelled in recent math contests. 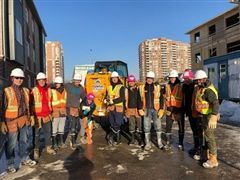 Seven Year 11 and 12 Upper Canada College students — and director of community service, clubs and creativity, action and service (CAS) Tom Babits — spent a frigid eight hours helping to build townhouses with Habitat for Humanity on Feb. 1. The Blues hosted the 15th annual Barrow Varsity Hockey Tournament this past weekend and used its talent and home ice advantage to claim the title. The Blues started the tournament against Le Sommet and had what coach Carl Beaudoin and many of the spectators would have described as their best start, and ultimately best game, to date. They got up early and never looked back, burying Le Sommet 6-0. February is Black History Month, and Upper Canada College’s Black History Club is honouring it with a series of awareness-raising events. 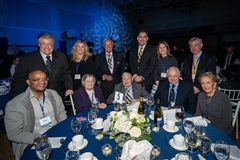 Founder's Dinner 2019 commenced with Principal Sam McKinney leading the community in a moment of silence to honour the passing of the Honourable Michael Wilson ‘55, last year’s inaugural Old Boy of Distinction, Feb. 11. 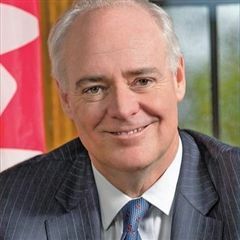 The UCC flag had flown at half-mast the day prior, to recognize the former federal finance minister and business leader. 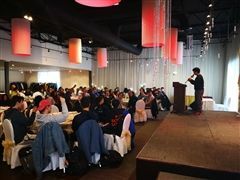 All agreed the crispy chicken was a definite highlight of the multi-course banquet enjoyed by more than 150 students for the annual Lunar New Year field trip Feb. 7. World Languages Week is an annual event dedicated to celebrating linguistic diversity and inclusion at Upper Canada College, and this year’s event took place from Jan. 14 to 18. 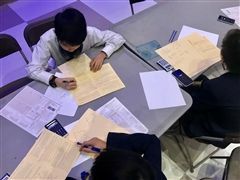 Upper Canada College hosted the Future Design School’s Future Prize 2019 event on Jan. 31, welcoming teams of students from 20 CIS Ontario member schools challenged to leverage innovative technology to solve a meaningful problem in the local community. 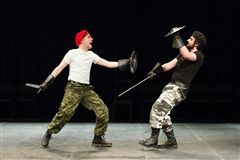 Established in 2017, the Old Boy and Young Old Boy of Distinction Awards are among UCC’s highest honours, designed to recognize the achievements of the school’s most illustrious alumni. This year, the school will celebrate the accomplishments of Jason Rabinovitch ’04 and William P. Wilder ’40 and Jason Rabinovitch '04 at Founder’s Dinner on Feb. 11.